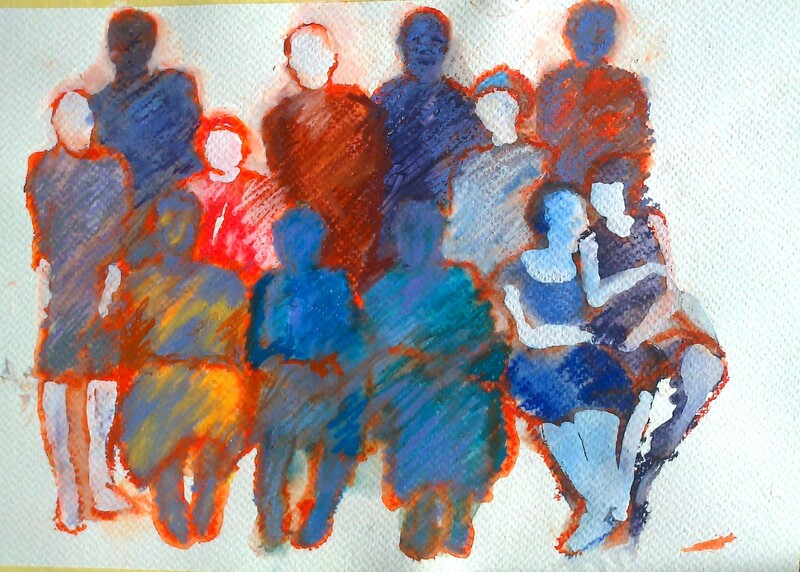 Since the last post I have continued work on the family portrait shown in the last blog. Not easy. 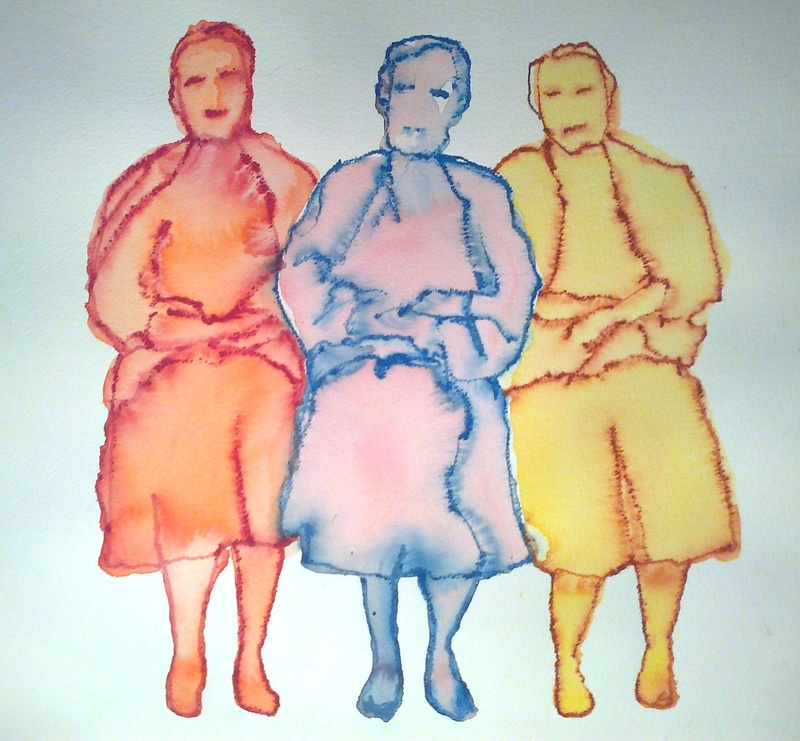 There are four colour drawings that failed to go beyond the original image (the photo). Unusually for me, it felt like the identification of the figures mattered, that their actual features refused to give up a more personal – to me – interpretation of the group portrait. I almost abandoned the project. But I allowed one more try using a watercolour crayon technique that has helped me before. This more abstract effect seemed closer to what I had been working towards, but it’s now a jumping off point – the direction of the next painting is clear. 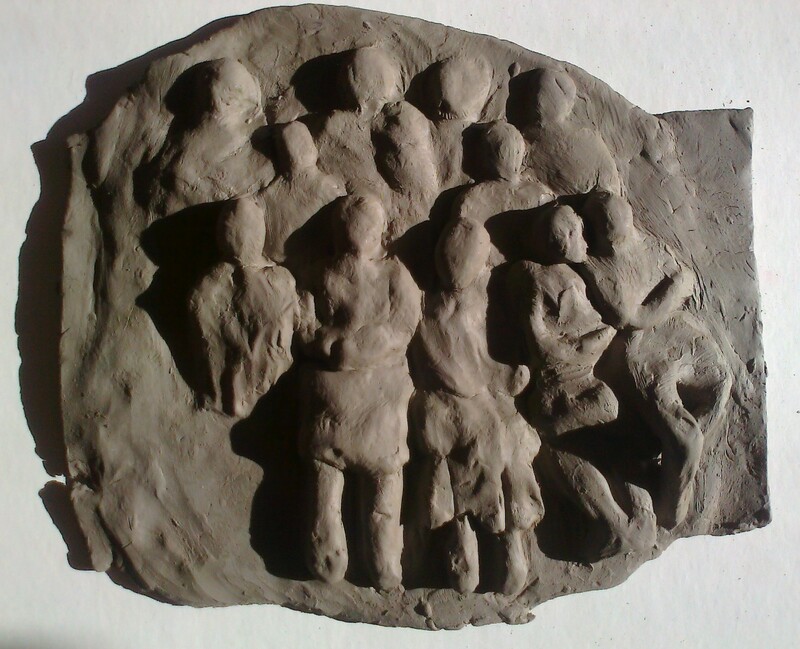 At the same time, I have been creating a clay low relief sculpture of the group. It’s taken longer than expected and again, so far it’s a rather straight re-creation of the pose. The image in my mind relates to the style of the ‘post-impressionist’ sculptor Medardo Rosso – very grateful to google for lots of lovely examples. So there is a way to go on this one and also, this version is quite small – about the same size as the A4 drawing above. It may be that the looser 3D effect in my mind’s eye does need a more expansive scale.